Nationwide NEBOSH courses for managers taking the next step in their health and safety career. 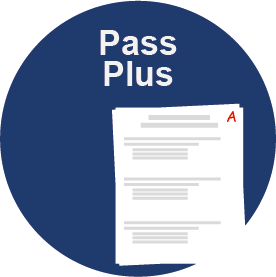 Free revision day, pass plus, online revision support and expert tutors. The NEBOSH National General Certificate in Occupational Health and Safety is ideal for managers in any industry or for those looking for or advancing within a career in health and safety. You have a break between weeks 1 and 2 and then between week 2 and the exam day. This is to give time for private study and personal revision. There are no formal entry requirements for the NEBOSH National General Certificate in Occupational Health and Safety. However, the assessments are only offered and must be answered in English. Part of the qualification is a short written report based on the delegate's own workplace and must also be in English. If you have any questions please contact the training team. The NEBOSH National General Certificate is accredited and credit rated by the Scottish Qualifications Authority (SQA - www.sqa.org.uk) for delivery across the UK. It is rated within the Scottish Credit and Qualifications Framework (SCQF - www.scqf.org.uk) at SCQF Level 6 with 15 SCQF credit points. Each unit (NGC1 and GC2) is assessed by a 2-hour written examination to be taken after the 2 classroom weeks. You also have a practical assessment to be carried out on your workplace, if you are not working you can use hypothetical scenarios or situations from past experiences to complete your project. Thinking of taking your NEBOSH National General Certificate? Project Skills Solutions offer th NEBOSH qualification at centres Nationwide or on your site. Get expert training, online support throughout and peace of mind with our pass promise. Courses leading to NEBOSH qualifications attract around 50,000 candidates annually, with exams taken in over 120 countries around the world. their supervisors’ or management development programme. Smaller organisations often only require their manager taking the lead on health and safety issues to hold the qualification. If health and safety is important to an employer your qualification can help to set you apart from competition for a job role. The minimum standard for a role in health and safety (92% of positions ask for a NEBOSH qualification or IOSH Membership). Read a NEBOSH case study about Claire, who completed her NEBOSH National General Certificate to advance her career. 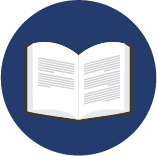 Keep up to date with with industry knowledge. Network with other safety professionals and companies. See below the course syllabus for the NEBOSH National General Certificate in Occupational Health and Safety. We know the NEBOSH National General Certificate is a hard course to complete, that's why so many employers list it as a requirement when they hire people for Health and Safety positions. So at Project Skills Solutions, we do everything possible to help make you comfortable and confident before, during, and after your course. Our NEBOSH courses include an extra day the week before your exams, we cover important parts of the course again, and you have the opportunity to discuss areas of the content with your tutor, and take a look at past papers and practise questions. 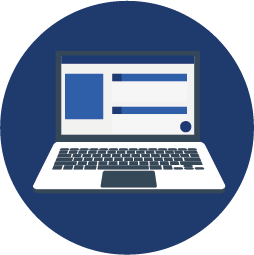 During your course you'll have access to our online platform, through this platform you'll have access to course materials and documents, study and revision activities as well as leave messages and comments for other students and your tutor. Our NEBOSH courses are amongst the most competitively priced in the UK, but we understand the course is still a lot for delegates to pay at once. Why not book your course now and pay in instalments up to your start date? Find your course date and contact us. 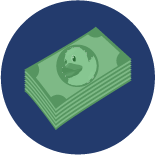 We spread the remaining cost monthly up until your course date. Usual T's and C's apply, so if you want to cancel your booking outside of the 21 working day period, there is no cost, everything you've paid so far will be refunded. Click here for more information on NEBOSH Instalments. Save money and train your team together, tailor content towards your organisation and choose training days to suit your schedule. Contact us about a group onsite NEBOSH course now. Your course is exactly the same NEBOSH National General Certificate in Occupational Health and Safety you would attend at 1 of our 15 Nationwide training centres but can include specific health and safety content relevant to your organisation. Training your staff together as a group can save you money and make your NEBOSH course more cost effective. Call or chat with the team now to find out how much you can save.